The creator of Minecraft is open about sales data because it creates a positive company image. Minecraft creator Marcus "Notch" Persson has been open about the game's sometimes explosive sales since its release, but he doesn't share this information to brag. In his opinion, openness is simply good PR. Persson's Minecraft stats page shows exactly how many people have bought the game in the past 24 hours and the total number of purchases made (over 666,000 as of this writing). He told GI.biz that the purpose of this page is to create a good customer rapport. "Personally I like sharing that information, because I'm generally an open guy," Persson said. "But it feels a bit sometimes like it's a bragging page. That wasn't the intention, because originally it was for the people who had bought the game could see like a number increase on a webpage or something." "I think it's a good sign, if you're actually open with your development and you're also open about the sales, it feels like you're genuine in some sense," he added. Persson is right, because this sort of information can be hard to come by for both independently-developed games and the titles that come out of major publishers. When you're totally open about how well you're doing, it not only makes you seem like an honest businessman, but creates a great wave of PR if your game is selling a ton of copies. Believe me, when Minecraft sells 1 million units, you'll know (and I might even be the one telling you). Persson's degree of openness may have harmed the game at one juncture, with a DDoS attack on Minecraft servers rumored to be caused by disgruntled players that said he wasn't putting enough of his money back into the game. 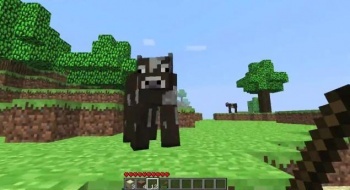 However, Persson doesn't come off as a money-grubbing developer in the least, also saying that he doesn't plan to raise Minecraft prices, that he's "opposed to pointless DLC," and that while venture capitalists are knocking at his door he still plans to keep Minecraft self-funded so that it can become the best product possible. Judging by these comments, it appears that Minecraft's success couldn't have come to a better studio.